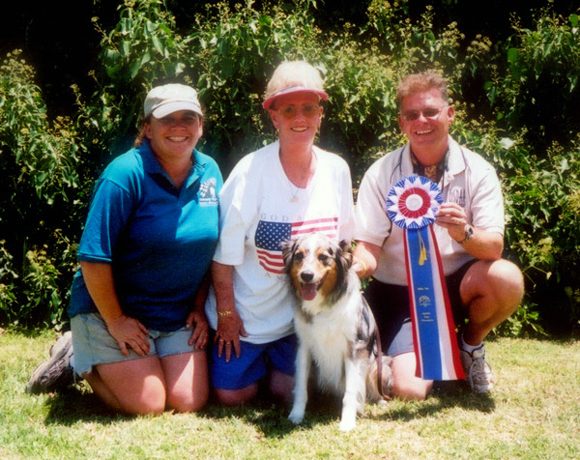 Mia Grant has been teaching agility for over 10 years for Goleta Valley Dog Club, Inc. as well as facilities in Ventura County and San Luis Obispo County, plus traveling out-of-state to teach seminars. 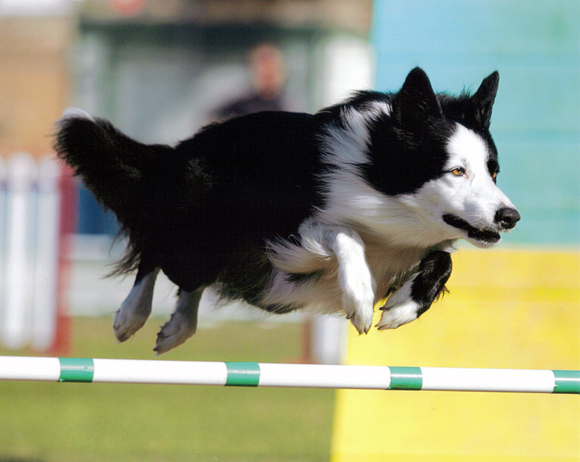 She’s worked with dogs her entire life and discovered agility in 2000. 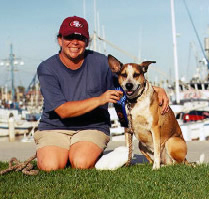 She has had the pleasure to help a diverse variety of dogs and people. She feels the fun of the sport is the most important thing for both the dog and the handler. Mia focuses on positive training methods for agility, using lots of toys and cookies (for the dogs). Her classes benefit teams with all levels of interest in agility, from the casual enthusiast, to teams that want to compete at the highest levels. She has attended many seminars/workshops/private lessons with top level trainers and continues to do so, to stay on top of the latest developments in the sport. With her amazing teammates Mia has earned 4 ADCH, 4 ADCH-Bronze/Lifetime Achievement Bronze, 2 ADCH-Silver/Lifetime Achievement Silver, a Lifetime Achievement Gold, 2 PDCH, a PDCH-Bronze and a PDCH-Silver. She and her teammates have been ranked in the Top 10 14 times (with 3 different dogs) and been in 12 National Finals. Mia presently shares her home with two Border Collies, Starlet and Vic. Starlet is a gorgeous 9 year old Border Collie that came to Mia as a re-home when she was 11 months old. She has been the teacher of many lessons, coming to Mia with significant confidence issues. By learning how to play and lots of high value cookies, Starlet has really blossomed. In 2009, Starlet finished her ADCH-Bronze/Lifetime Achievement Bronze to enter the USDAA Hall of Fame and is now enjoying the good life in her early retirement. Mia’s youngest dog, 4 year old Vic, came to her from England. As a two year old, Vic finished his ADCH, was ranked in the Top 10 in Jumpers and won several Grand Prix and Steeplechase classes at local trials. He was also ranked in the Top 10 in Jumpers in 2010 and was the #1 22″ Snooker dog in the country! In 2011, Mia moved Vic up to 26″ to try out for the IFCS World Team. At the 2011 Cynosports World Games, they made the DAM Finals, taking 3rd in Team Relay and also made the Grand Prix Finals with another podium finish, earning the bronze medal. Most exciting about 2011 is that Vic and Mia did make the IFCS World Team and are very excited about representing the USA in 2012 at the IFCS World Championship. Before Vic and Starlet, were two very special dogs. 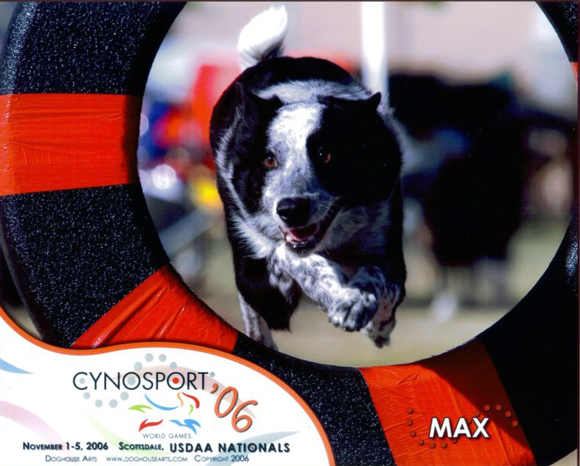 Mia lost her original agility teammate, Max, an Australian Cattledog/Border Collie mix in 2009. Max was a tremendous first agility dog, allowing Mia to really develop her handling techniques. 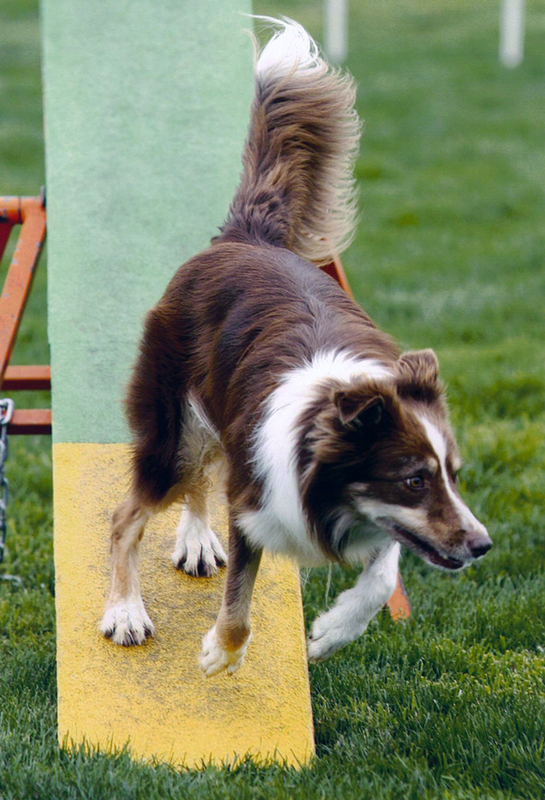 He accomplished many great things in the agility ring, in addition to being the best dog ever. Roxanne, a pound rescue who hadn’t had the best start in life was Mia’s first dog, but didn’t compete much in agility. She is the dog that taught Mia the joys of positive training and remains Mia’s inspiration in teaching others. In addition to her own dogs, Mia has also had the pleasure of training/handling a very talented Aussie, named Finn, for Betty Brooks. He has also been the teacher of many lessons, but his enthusiasm and power have always been fun to work with. It was with Finn that Mia had her biggest win to date, when they won the Performance National Standard Championship in 2008.